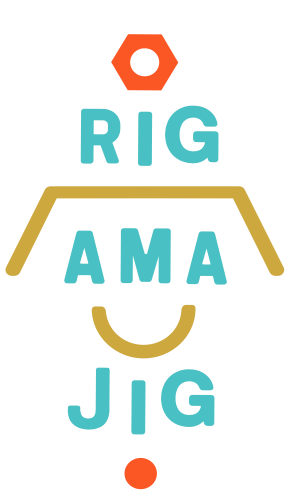 Rigamajig was developed in 2011 by Cas Holman for Friends of the High Line in collaboration with early learning educators, woodworkers, and children. It was launched in New York City’s High Line Park as the High Line Children’s Workyard Kit and reflects the park’s industrial history, simple, honest materiality, and the organization’s dedication to creating meaningful play opportunities for children and families. 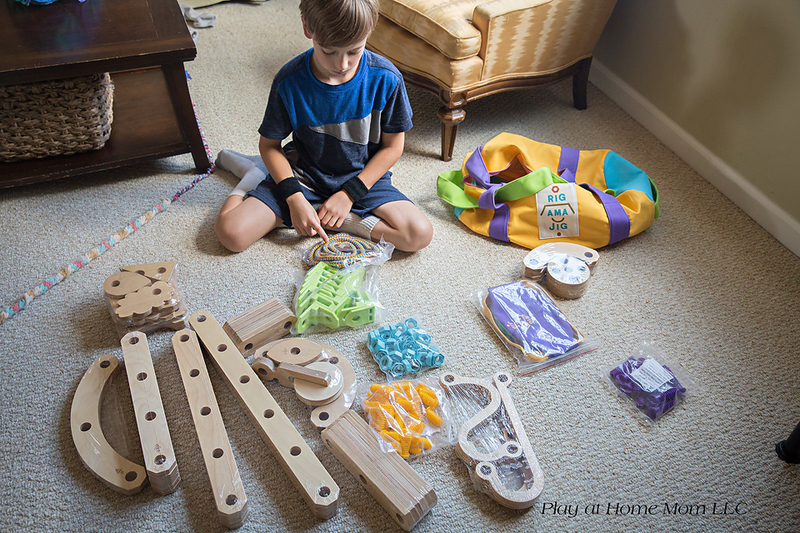 Rigamajig Jr. is a wonderful collection of wooden planks, shapes, wheels, a pulley, ropes, nuts, and bolts. Valued at $350 and coming with 160 pieces, it’s 1/2” thick Baltic Birch Planks range from 6” – 22” make it large enough to make things to play inside of, but small and light enough to play on a table top. The quality is top notch and would stand up to even the roughest of builders/players. It arrives in a nicely made, durable canvas bag that is perfect for storage and neat freaks like us. We love the open ended opportunities of this product. It allows children to use their creativity while developing their imagination, dexterity, and physical, cognitive, and emotional strength. These are all important components of healthy brain development. It offered ample opportunities for our children and our preschool children to problem solve and collaborate. We highly recommend this building kit! This is on of the best products we’ve ever reviewed. 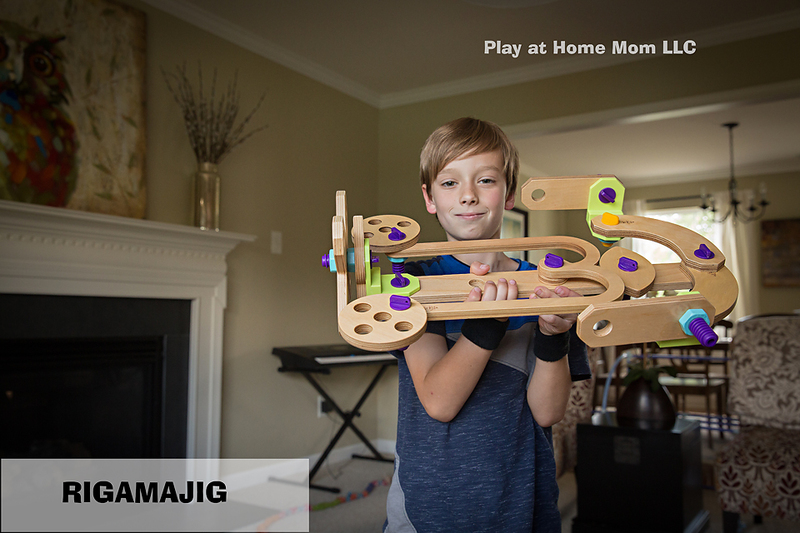 You should definitely bring Rigamajig into your home – especially if you have children who love to build and construct. Please check out their WEB SITE and FACEBOOK page for more. To enter the giveaway please click on the widget below. This giveaway is open to Continental US Residents only and is no way associated with Facebook. Winner will be announced Saturday June 3rd. 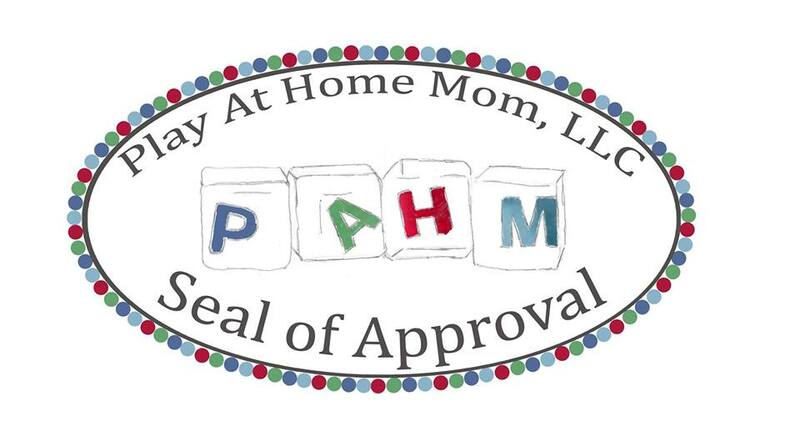 Play at Home Mom, LLC approved! My son would absolutely love this set! He’s very creative and his imagination could just soar! I would LOVE to try this out with my 2,4, and 6 year old children. I also teach kindergarten and my class would be all over this! This looks like so much fun with many opportunities for team builds. My boys 3 and 5 would love this. They are building with blocks and sticks and anything else they can use regularly! I know my 6,7, and 9 year olds would love this! My kids would love this. They look so fun and are really open ended! My three and six year old boys would love creating thingamajigs with Mom and dad. My five year old would enjoy this! These look amazing-my kids would design some really imaginative things with these. Thanks for the introduction to them! Play pieces like these are invaluable. Fantastic! My six year old would love this. She loves to build. My 3 & 4yo LOVE building and would love this set! My 8, 5, and 1 year olds would love this set! It looks like so much fun! Love how much creativity this set allows for. Thanks for the amazing opportunity! Our pre-k ages children would love this! Most of them spending time in our constructive space. Our children are ages 3-5 years. These look so awesome! My little builders would love them. My twin boys are 7 years old and would have so much fun with this. They both love to build and create and tinker! Wow! This looks like something my 2 sons would love! We have 4 kids who would LOVE a building set like this. Specifically my 9 and almost 7 year olds! This would be a fantastic activity for all ages of my grandchildren. The 7&8 year olds can take the leadership role for the 3-5 year olds! They can make something new each time they come to my house. This would add to my points as a grandma th have this to play with at my home. My 4 and 11 yr old daughters would LOVE playing with this together!! Thank you!! My daughter and her engineer daddy would love playing with this together! I can see a ton of applications for this in a special education classroom!!! 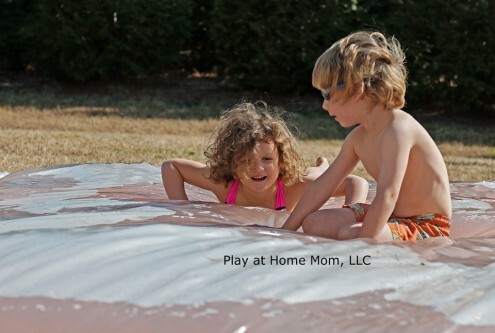 Ages, 6,6,7,7 and 10 would be enjoying it along with any neighborhood kids or friend that came to play! I can’t even imagine the endless fun my 8, 5 and 2 yo would have with this set! What an awesome product! I can see a lot of applications for play learning and special education classroom. My 7 and 3 year old sons would love this. Truthfully, this would be an awesome activity for my husband and sons to do together. My girls 6, 6 & 7 would love this set!! My boys (ages 5 and 2.5) would LOVE this. My first graders I teach would also love this. My almost 4 year old would eat this up! He is always building and taking things apart to see how they work. What a great “toy!” I love the open ended nature of this! Way to go Kaboom! So cool…I may even share it with my 8 and 9 year olds! My 5 year old would absolutely love this set!! He is always building and tinkering with things around the house. My 6 year old is a future engineer. He would love this! And I’m sure his 4 year old sister would join in the fun too (and little brother when he’s old enough). My boys, age 5 and 7 would LOVE this!! Looks like tons of fun! My 4.5 year old would love this and it would be so fun to take and share with her preschool class. I am sure my 1.5 year old would find a way to enjoy it too! My ten and seven ear olds wil love this! I’ll be teaching first and second graders next year and they would DEFINITELY love these! Heck, my second and third graders this year would have loved them. This is one of the nicest wood toys I’ve come across in a long time. Love how open ended it is. Would be great to see what my 6 and 7 year old would make with it! Oh my class of 3 to 5′s would love to use this!! I am really interested in trying this out with my 4 and 6 year old girls! My 5b and 3g will absolutely love this set. They play with magnatiles, zoob and bro building sets daily. I’m always looking for other open end construction toys. I have a 7, 5, and a one-year-old that would get a lot of enjoyment from the set. My 8 year old would love this! I have an 8,6, and 3 year old who would LOVE this set and LOVE Pahm! Thanks for the opportunity. Wow! What incredible learning opportunity for children. I would love the chance to see my grandchildren and students in my class create and invent with these tools. Play is powerful. Thank you for sharing. My preschool class would love this set. So many possibilities!! We would love to try this out with our 6 and 2 year olds! My boys would LOVE this! Any age kiddo would like this. It’s such a great idea! 8, 7 and 3! Along with any other older kids I babysit. My kindergarten class would love this! They love building! My 3 year old would also play with these during the summer. Open ended toys are the best! Thanks so much for the giveaway! Would love to try these out at our “engineering” table! How fun! Thanks for the opportunity to win. This looks like a great invention, it would be nice if there were a way to make it more affordable, though. These look fantastic! There is so much room for creativity and imagination with this set. My preschool class would love these!!! My 4 & 5 year olds would love this. My husband might have as much fun with it as my kiddos do! Love this! My kinds woulda be so excited to play with this. My 4 and 6 year old would love this! They love building and creating things! My 9, 4, and 2 year olds would have a blast with these! So fun! You always review the coolest toys! My kiddos (4 & 8) would loooovve this! This looks so amazing! My kids are almost 7, 4 and 2. Plus I babysit kids ages 1, 3, 7, 8, 9 and 11! So many kids would love on this here and I would love to see how different they would all use it! My classroom would love this! It would be such an amazing addition to our room! My 6 year old would enjoy this and I think it’d be a toy she could use for several years to come! I would love to try these with my kindergarten class. Oh my! My 6 yo and 9 yo would have so much fun with this! My little builders would love this! I would love this for my innovation class! Kids JPK-4th grade! We would love this at home for our little creators ages 3, 5, and 7 years! My eight year old would love this. He likes to build and invent. I love these! I saw them at a NAEYC convention years ago and have wanted a set ever since! such a great product. This looks like something that my 9,8, and 3 year olds could enjoy together. So cool! I would love to share this with my 4 and 7 year old daughters! 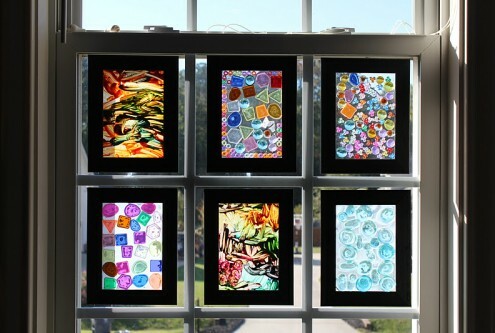 I also teach in a Reggio preschool, and my students would love this as well! Thanks for hosting such an awesome giveaway! My nanny kids would loooooove this! I teach third grade and I know my students would love it – and I would too! My son would love these! My 6- and 4-year-olds would love this! My architects-in-the-making would love to try these out! My Iggy-Peck-Architect-and-Rosie-Revere-Engineer-loving rising first-grader (5 yo) would be enjoying the Rigamajig over the summer! My 6 and 3 year olds would LOVE this! They’re currently making due with dollar store jump ropes, left over wood, and anything else they can find around the house or at the park. This would give them so many more options and I wouldn’t mind having it inside! This looks like SO much fun. I mean, for the kids, right, yes, fun for the kids. I mean admitting that I, at 40, want to play… Yup, I’ll admit it! This looks like SO much fun for everyone!!! My preschoolers would love this! My kids are 4 and 6, and I also teach kids in the same age range and would probably want to figure out how to share the fun all around! My 8 and almost 6 year old would love this! It would also be a hit amongst their friends and cousins! Oh MY goodness! I saw Rigamajig last year on FB and showed it to my Principal. She Loved it but of course $$$ is always a barrier. My Kindies would LOVE this! My kids would love this! The endless creativity and play!!! My 6/4/&2 year old would love to play with this. The endless creature and engineering! Wow!! This looks heaps of fun!!! My 43 year old husband would love playing this with our 2.5 year old! I have four kids 6 and under who love to build. I’ve been wanting this for so long! My kids would love this set! I hope we win. I have to kids ages 5 and 9, and I can see them both loving this. 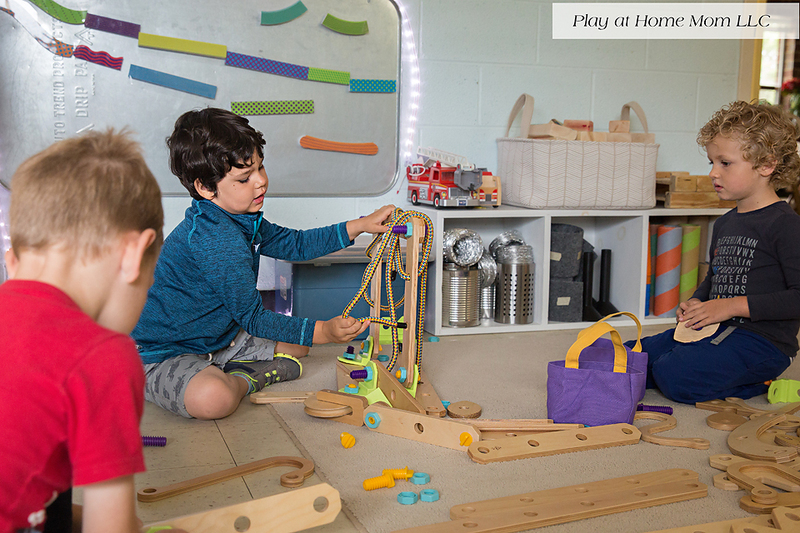 We struggle to find toys that will engage them both, independently or together, in creative play. This definitely fits the bill! Awesome! I love your toy suggestions that are open ended! These look awesome! I could see all the kids in my class loving these. My 6 and 2 years old would love this! My son is 5 and he would love this! My 7 and I year olds would love this. My 3 year old son would love creating amazing things straight from his vivid imagination! This is awesome! we played/built with something similar at a science museum and my 2 boys (2,6) loved it! Both my girls would love this! They are constantly making projects out of garbage/recycled things. Fingers crossed! Sounds like so much fun! My almost 5 year old would love this. My sons, 6 and 8, would love this toy! My 3 kids 10, 7, & 4 would love this! That my boys of different ages could use these together! I know my 8yo would love this! My kids would really have fun with this. Very neat toy! Would love to win!! So cool! I think my 7 and 9 year olds would both love them. This looks amazing! Both my kids, ages 6 and 7, love building! This would be perfect! My 9 year old daughter always tells everyone she wants to be an engineer when she grows up. This would be perfect for her interests! My 6-year-old would love this! My 5 and 3 year old builders would love this! We homeschool and my two boys (ages 8 and 5) would absolutely LOVE this product! I would to have this at our nursery. It would give the children so many play experiences. 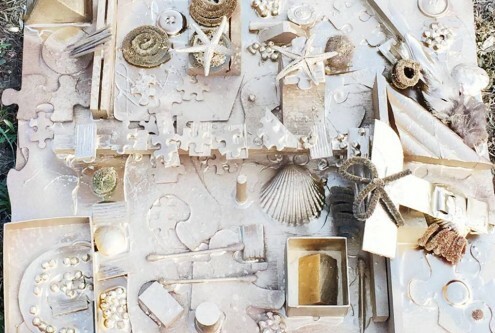 A fabulous open-ended resource will endless possibilities for learning. My kiddos are 2,5 and 7 and they would LOVE this! I’m excited to see they now offer a more affordable home version. Swoon! These look absolutely amazing my girls would LOVE to build with these. I have a 6 & 9yo that would love to play with this. I can see my 6yo spending so much time with this toy. He is a natural builder, it would be great fun to see what he would come up with. I also work with 3-5yos that I would introduce it to as well. My little one is only 2 but I’m sure she would love this when she’s older. My 7 year old son loves any toy that lets him build. I know he’d love this toy. I think my 6 and 10 year olds would love Rigamajig! 5, 7, and 9 years old. We have a 6 and 10 year old. It would be cool to see what amazing stuff their imaginations would come up with! My 7 year old son & 1 year old daughter would be so thrilled for a new building toy! Thank you for the opportunity to win one. My girls, ages 5 and 8, would love these! My 5 and 10 year old daughters would love this toy! They are very into inventing! My son is six and would love this! My kids, ages 6 and 4, would love this. I like that that it is so open ended that they could create figurines or contraptions! My son (7) would love to use his imagination with this set! I think I would too!! My own kids plus my daycare kids would love this! What an amazing toy. This is the first I’ve heard of it, but my 6 year old would LOVE this! My six year old would love to play with this! 7, 5 and 5 year olds would be so excited! My boys, 4 and 2 would love building with these! Our 4 & 6 year olds would love to build and create with this! I think all ages would love this! Younger ones may need a little help, but would still have a lot of fun! I know my 7 year old son would really enjoy this! My boys (1, 5, 7, and 8) would love this set!! These look amazing! My girls would love them! I could see all my kids loving this! Ages 7, 5, and 3. 4,8 and 9. Thanks for the giveaway!!!! This looks amazing! My 8 year old would go nuts. I can’t imagine all she’d build. I know my 4 year old would love this! My 4.5 year old would love this! All three of my boys love building and inventing. This would be amazing for them!! My 4 and 7 year olds would love this! This set looks amazing, my 8 yr old would love it! Thank you so much for this opportunity! My boys would love these! This would be amazing! I have three kids – a 2 year old, a 5 year old, and a 6 year old. They would play with this nonstop! Wow, this looks amazing! My 7 year old loves open ended exploration and my 9 year old loves creating, this would be awesome!! My 7 and 9 year old would love it! My daughter is only 2, but this building set would be so much fun to explore with her now and grow with her through the years! Wish I would have known about this when I taught preschool! My boys would love this. So cool! Love this! Suitable for all ages. My 2 year old, 5 year old, and even my 35 year old husband will love this! He is always looking for fun things to do with the girls, and this is definitely one he will enjoy together with the girls! 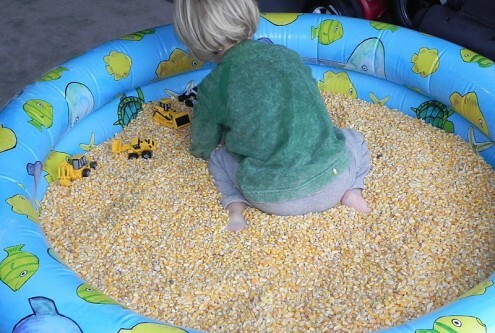 This looks like it would be so much fun for my son!! My boys -ages 3, 10 and 12 would all think this is super fun! This would be great for our 2, 3, and 12 year old! Hope we win!!! I have 5 girls…11, 10, 7, 5, and 2 who would all enjoy this!! My older 3 (4, 6, and 8 years old) would love this! I’m sure their little brother would once he is older!! These look so fun! My youngest and oldest could both enjoy them. I would love these for my almost 4 year old and 2 year old boys. I would love to explore this with my almost 4 year old daughter. We love open ended toys that allow her to tap into all the STEM skills. As a special education teacher at the elementary level, I could also use this with my students. 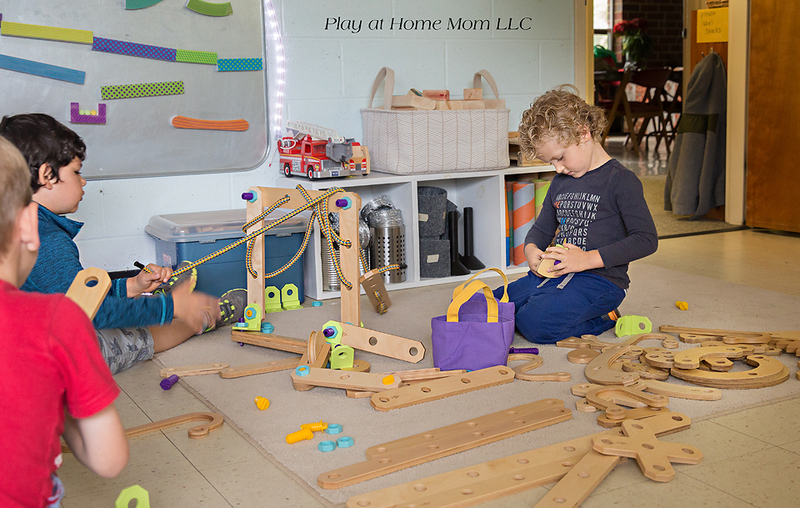 They enjoy hands on learning and being creators. My boys are 5 & 3 (with a little brother on the way) I think they would both enjoy this NOW, and for years to come! What an awesome giveaway of a fantastic looking toy! My 2 year old would love to play with this, learning how to build great things as he grows up! My 5 year old would love these! My 9, 7, and 5 year old boys would love to try this! My 6 and nearly 4-year old would have a blast with this! Would love to win this for a summer Stem camp I’m organizing. My three boys would love these! My 4 and 6yo would love these! Heck, I would love to play with them haha! I love these and I am determined to order them to use with my 4 year old students in a PreK classroom!! My 3 girls would love playing with this – thank you! I know a 7 year old boy who’s always asking me to “buy wood to make things” who would love this! After seeing a preview picture you posted we went to our children’s museum and they had this product out for play. My daughter LOVED it and spent 2 hours playing with It! I’d donate these to my son’s school. They’d be well-loved and super fun! my 3 & 5 year olds would looooove this! My seven year old would looooove this! My 5 year old would love this! It would be a great addition to our homeschool classroom. My 6 year old loves to build and create things. He would absolutely love this! My almost 5 year old and my 2 year old would go crazy for this. The hours of imaginative play it would create would be amazing! And I’m sure their newborn little sister would also enjoy this a lot one day. I’m all for encouraging this type of play in little girls who would traditionally be left out. My kids would love this!!! Having taught in a Reggio inspired school for a few years, I really appreciate these amazing open ended toys when I see them!! Looks like a fun toy! My kids are 8,7,5,3. 6 year old DD and our homeschool group! I would love to have these for my 6 year old daughter and her friends! I also teach 4 year olds so it would be amazing to have a different method of building/creating/problem solving available for them. My 7 and 4 year old would love this! I have three girls who love to build ages 7, 5, and soon to be 3. your blog has inspired me as a mom to allow them to explore and engage in the world of play in ways I had never considered. thank you for the many years of inspiration! My 6yo, 4yo, and 2yo would love this! They played with it at the children’s museum once and it was lots of fun. Hi! Who won the contest? Just curious- I’m going to get some for our group! Such a cool toy! © 2019 http://www.playathomemomllc.com/. All Rights Reserved.